A full-service Allergy & Asthma practice for patients of all ages. Needle-less diagnostic skin testing for food and environmental allergies. Environmental allergy symptom prevention with customized, steroid-free allergen immunotherapy. Call 724-655-3000 to see if you qualify! 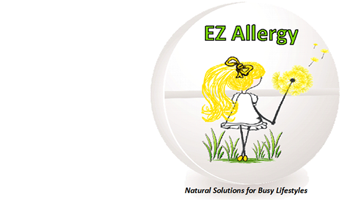 EZ Allergy has two convenient locations (McMurray & Wexford). We accept all major insurances, including UPMC and Highmark Healthcare. To schedule an appointment, call 724-655-3000 or CLICK HERE . Dr. David Skoner, world-famous, board-certified allergist; pioneer in medication safety and allergen immunotherapy. We opened our McMurray clinic in the Summer of 2017, Click Here to read the Triblive.com article. EZ Allergy has partnered with Pediatric & Adult Vision Care in Wexford to form one of the nation’s first partnerships between an allergy practice and an optometry practice (see “About Us” Tab for more information). 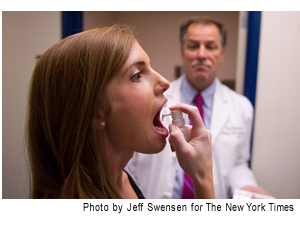 The same unprecedented benefits of regular allergy shots in a doctor’s office can now be safely delivered in the comfort and convenience of home by an FDA-approved tablet that dissolves in 10 seconds under the tongue. Steroid nasal sprays stunt kids’ growth, study warns. Grass Allergen Immunotherapy Tablet Improves The Quality of a Father’s Time With His Children! What doctors don’t know about FDA-approved dosing and side effects of medications commonly used to treat allergy and asthma in children! Side effects of steroids used to treat childhood asthma. To ask a question, CLICK HERE. To register for a future free Public Education Seminar, CLICK HERE. By Appointment Only. Call for Hours of Availability.